Does Cracking Knuckles Often Cause Arthritis? "Stop cracking your knuckles!" This is a common plea we hear from our elders. Your mother may have warned you at some point from doing so, as it can damage your joints. It might be to protect your hands, or simply they were annoyed with the noise. Often we come to think that cracking knuckles is just a habit. But how much truth does it hold in that "old wives’ tale"? Is the habit harmful to us? 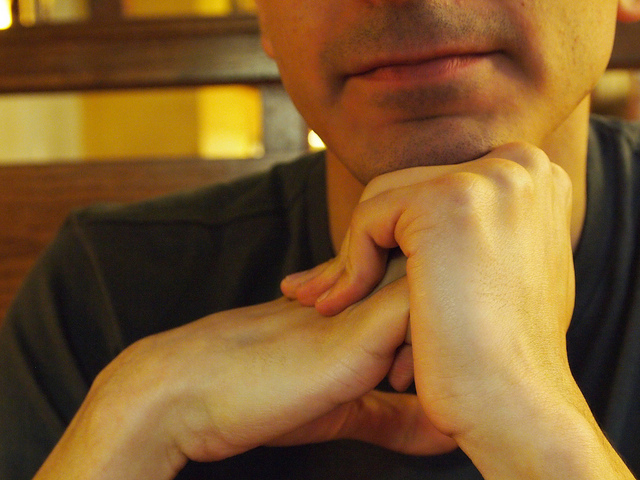 Can cracking knuckles cause arthritis? The truth is, cracking your knuckles do not cause arthritis. The theory of ‘Cracking knuckles causes arthritis’ is a total myth. It’s a piece of good news for you if you’re the kind of person who cracks your knuckles now and then. However, it could be a bad idea for other reasons. So you might need to reconsider your habit of breaking knuckles. Here are some reasons to get you to stop it. How Does the Knuckle Joint Work? Cracking is not a phenomenon that’s limited to the knuckles. The joint is nothing more than the point of contact between two or more bones. The ends of the bones are covered by tissue known as articular cartilage. The joint capsule covers the articular cartilage. Inside the capsule, there is a synovial fluid which serves as a lubricant for the joint. It is also the source of nutrients for the cells that maintain the joint cartilage. When you crack your knuckles or apply pressure to the joint, the pressure inside the joint capsule expands, but the expansion is limited. Synovial fluid cannot expand unless pressure inside the joint capsule drops and the dissolved gases present in the fluid escapes out of it. The cracking sound comes from the gasses rapidly released from the fluid. The popping and cracking noises made by joints is called crepitus. Crepitus is harmless and usually does not signal a health problem like arthritis. One of the fascinating pieces of research into knuckle-cracking was a study by Donald L. Unger of Thousand Oaks, California. - Self-cracking may put the strain on your joints or lead to injury. The research on cracking joints doesn't necessarily deem cracking knuckles as ‘bad.’ It may have potential side effects if you crack it daily. Cracking knuckles regularly is more likely to have weaker grips and experience swelling of the hands than the one who is not habitual knuckle crackers. The popping and clicking sensations could lead to harm or injury in the long term. - Though knuckle-cracking can give a soothing feeling and a sense of relief, it is often suggested to have a healthy stretching as a better option. - Physiotherapists provide physio-exercises that will help to figure out what causes the frequent need to crack joint and give us precise adjustments to feel and move better. - Knuckle-cracking has long term effects that remain a mystery, its connection with arthritis is a myth though. Instead of cracking away as the main method to relieve the joint pain, try incorporating massage therapy to remove the muscle tension. Even exercise therapy restores the finger movement and improves flexibility. People with arthritis of the hands or other conditions such as bursitis and tendinitis may feel snapping the tendons and hearing to cracking sounds can make you feel better. If you stay in Edmonton and looking for a physical therapist to help you get out of the habit of knuckle cracking habit, then contact Emerald Hills Physio for a therapy session. We provide exercise and massage therapy in Edmonton and help you with joint pain if you have arthritis.